After he was found guilty, a Texas judge sentenced 27-year-old Routh to life in prison without parole. Routh, a former Marine, was accused of killing not only Kyle, but also his friend, Chad Littlefield, at a firing range near Forth Worth, Texas. The verdict was delivered after less than three hours of deliberation. "You took the lives of two heroes, men that tried to be a friend to you. You became an American disgrace," Littlefield's brother-in-law, Jerry Richardson, said of Routh in court after the sentence was handed down, Reuters reported. During the trial, defense attorneys for Routh did not try to argue that he was not responsible for killing Kyle and Littlefield back in February 2013. However, they claimed that Routh is insane, and that he was “in the grips of psychosis” when he pulled the trigger. According to the Washington Post, court testimony suggested that Routh “had been in and out of psychiatric treatment numerous times” over the past couple of years. His attorneys said he suffers from schizophrenia and post-traumatic stress disorder. CBS News also reported that Routh was released from a hospital about a week before the shooting, after having a psychotic episode. Friends and relatives said Routh believed someone was looking to kill him. Prosecutors rejected this claim, though, saying that Routh knew exactly what he was doing and that he could differentiate between right and wrong. They pointed to the fact that Routh fled the scene of the shooting as evidence, suggesting that he did so because he understood that he had committed murder. "Ladies and gentleman, that is not insanity. That is just cold, calculated capital murder. He is guilty of capital murder. 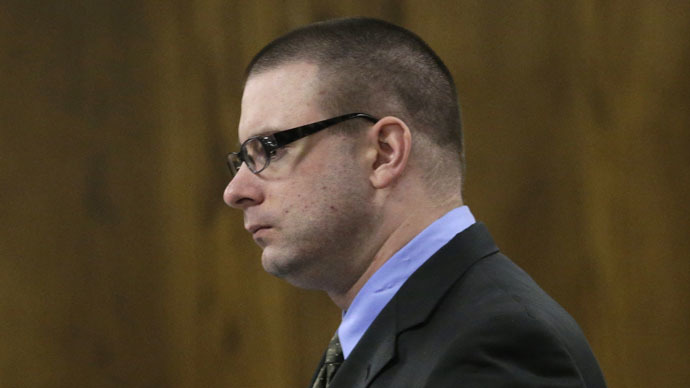 He is not in any way insane," said attorney Jane Starnes. The trial has drawn interest from around the country due to the popularity of Clint Eastwood's new film 'American Sniper,' which explores Kyle's life as the deadliest sniper in American history. He was credited with killing 160 people in Iraq while he served. As for the shooting itself, it occurred after Kyle, 38, and Littlefield, 35, took Routh along with them on a trip to the Rough Creek Lodge shooting range, the Associated Press reported. Routh's mother had requested Kyle's help, and he agreed to do so in an attempt to encourage Routh to discuss his issues. The day ended in bloodshed, however, with a hunting guide stumbling upon Kyle and Littlefield a little more than an hour after they arrived at the range. Jurors considered three options as they deliberated: They could either find Routh guilty of murder, not guilty, or not guilty on account of insanity.